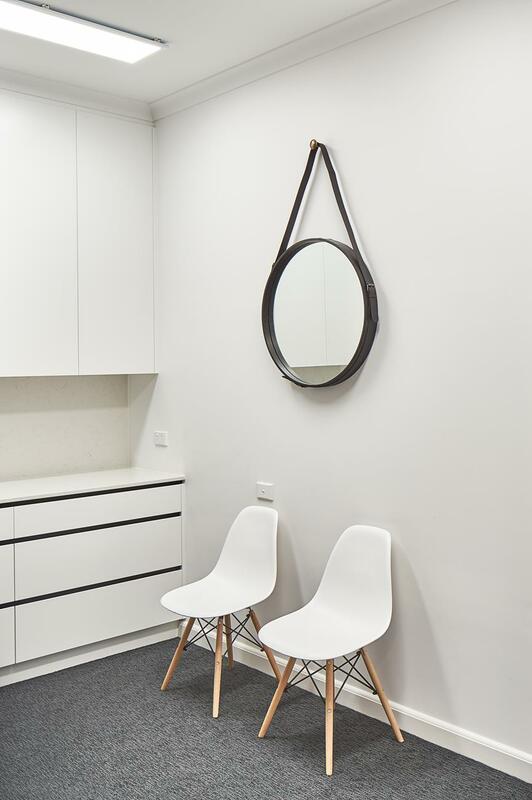 A fitout for a high end medical clinic in Hampton. 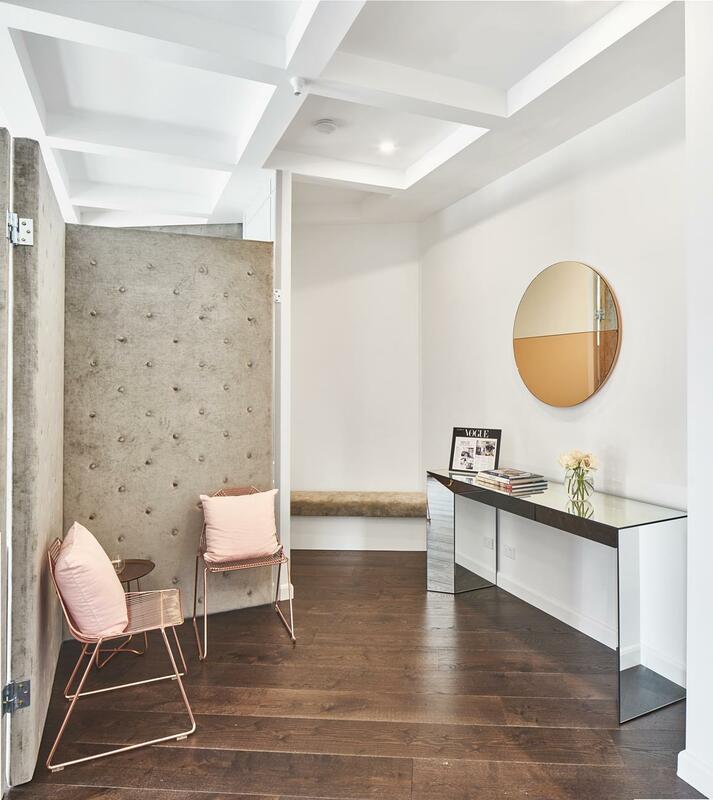 Central to the concept was a nearly 3 metre tall upholstered “dressing screen” which separated the front of house from back of house. 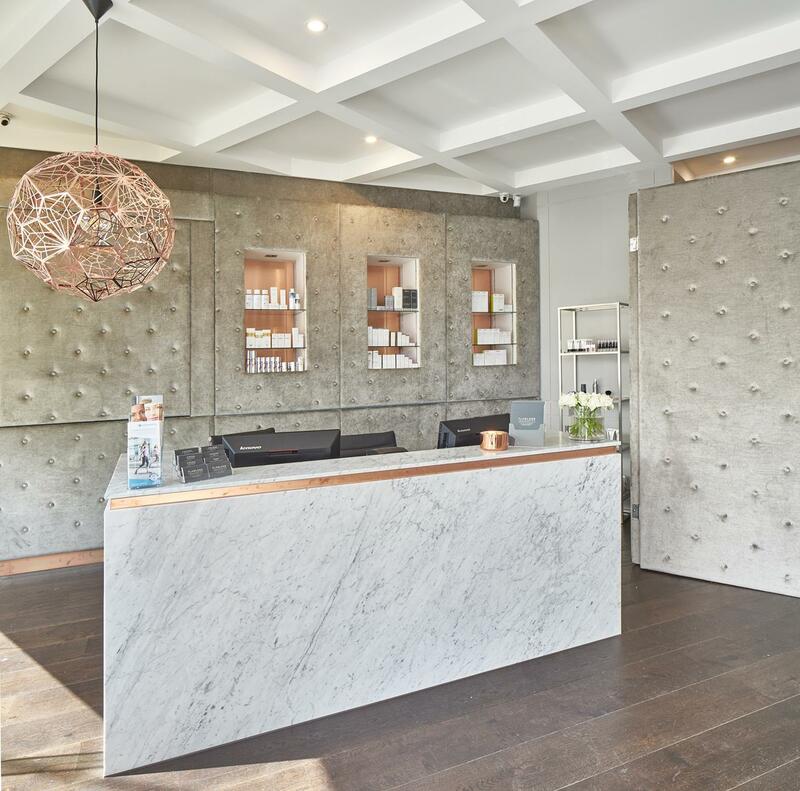 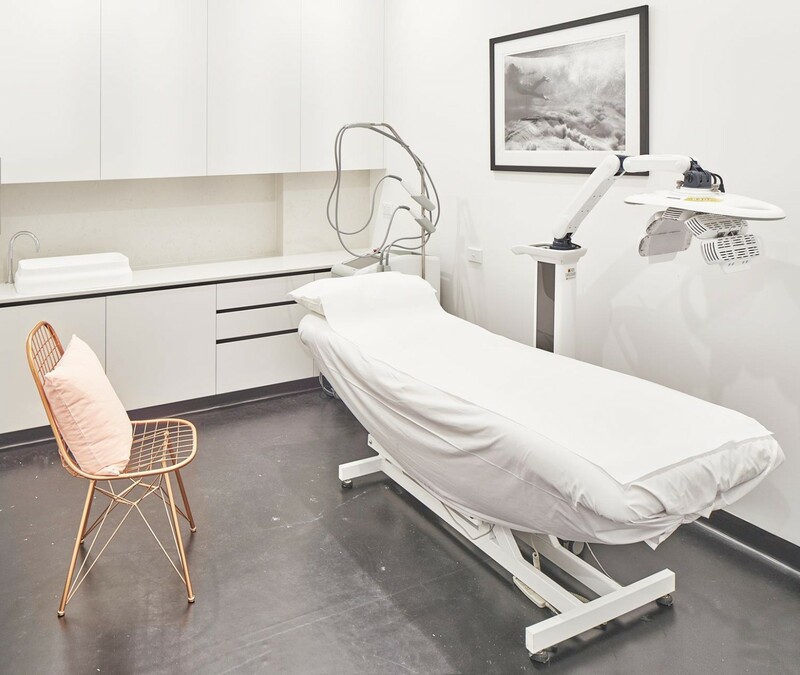 Given the predominantly female clientele of the clinic, the dressing screen not only provided privacy to patients while they waited for their treatments, it also added a sense of femininity and softness to the space. 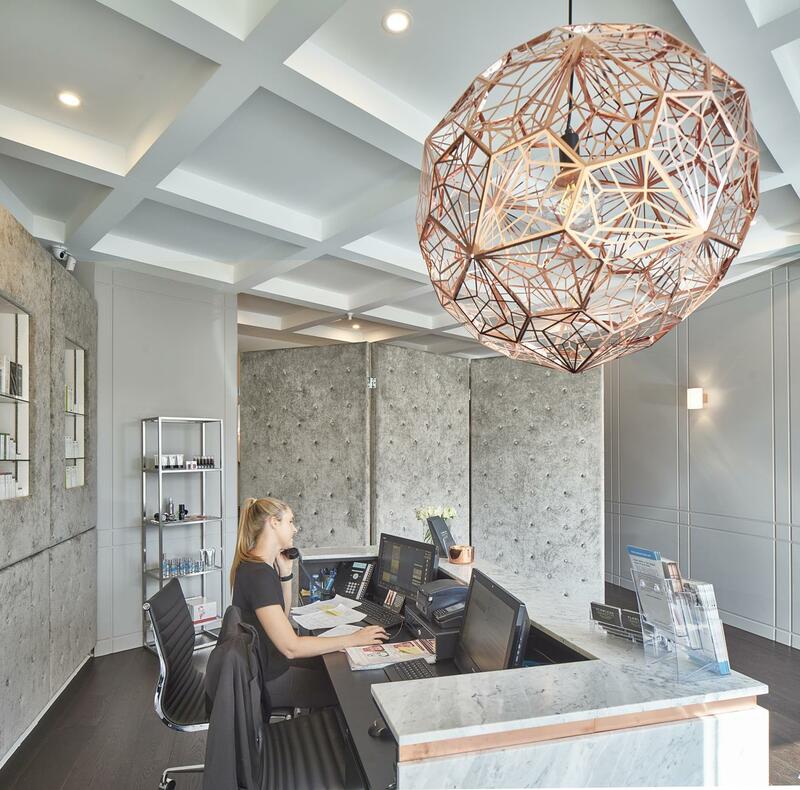 The spaces of the clinic were set out on a diagonal grid which guided the placement of the internal walls, coffered ceilings and the “zigzagging” of the dressing screen. 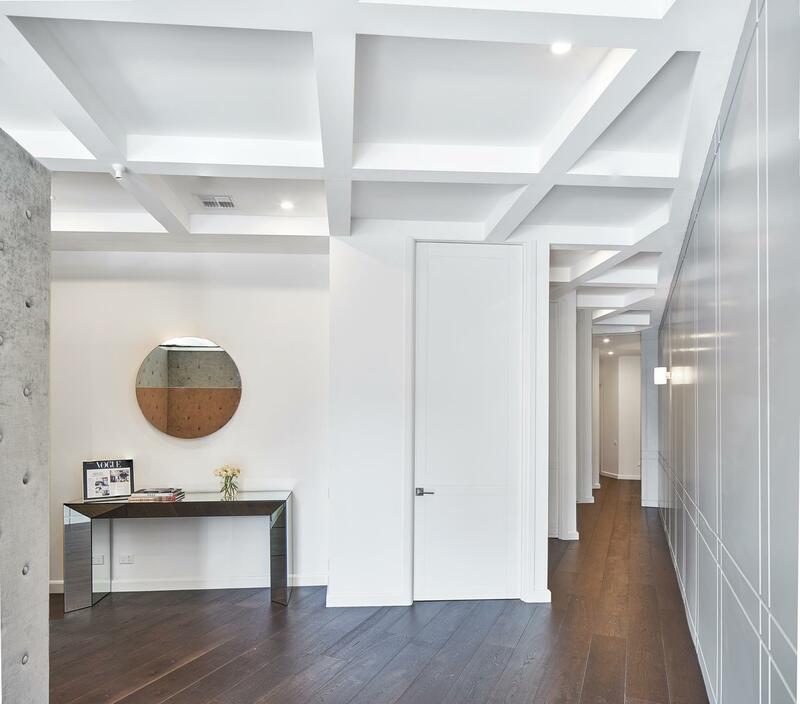 The diagonal grid aligned with the title boundary at the front of the property and allowed each consultation room to have it’s own sense of entry and helped make the hallway less monotonous. 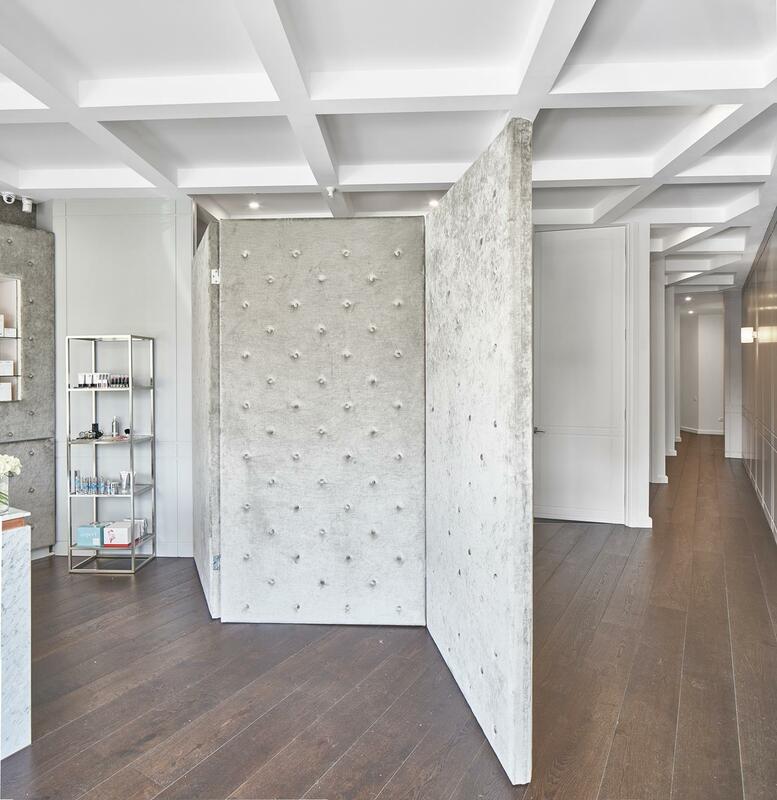 The elegant material palette consisting of carrara marble, european oak floors, custom routed ascot panels was polished off with carefully placed copper detailing throughout.